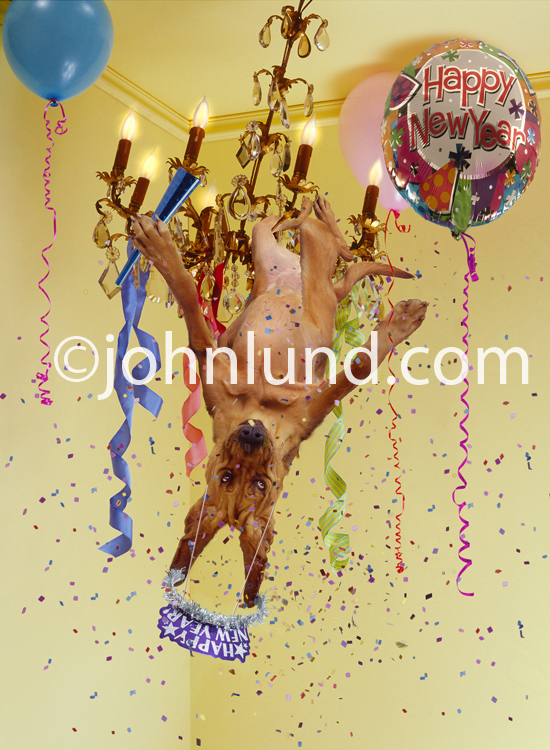 Hey, its a new year...time to relax and celebrate like this "Party Dog"! Karen McHugh, Pro Sales at Samy's Camera: "Keep on Shooting". Shannon Fagan, Stock Photographer and Former President of Stock Artists Alliance: "Again, follow your heart, and most importantly, don’t ever take ‘no’ for an answer. If you do these two things well, you’ll always have a career in visual imagery." Scott Redinger-Libolt, Photographer and Art Director for Blend Images: "I think there is a renewed sense of hope for the Rights Managed licensing. RM built the foundation for this industry and I believe we are coming full circle to embrace it once again. My personal RM revenue has seen the least decline and the most stability over the last decade …so in the long term; I think that’s a pretty smart place to invest." Jim Pickerell, Photographer, Stock Agency owner and industry pundit: "Aim for enjoying what you do and giving your customers the best you can do. The rest will take care of itself. " Stewart Cohen, Assignment and Stock Photographer, co-founder of Blend Images: "Perseverance sustains your talent." Glen Allison, Travel Stock Photographer: "Just about every single one of us probably has our own unique circumstantial crap we are standing in at the moment, which might seem to mire us down from time to time. Can we find ways to plow through this muck and carve the path to our dream?" Robert Henson, Director of Channel Relations and Sales at Blend images and President of PACA: "Do you love what you do? If you love what you do, it’ll transpire in your work. If you’re good, there’s a market for your work. Find someone who can help you navigate the landscape out there. Try making some content for different channels and watch closely to see how they do for you. " Sam Diephuis, Stock and Travel Photographer: "It’s a lifestyle not a job. Even if you are making good money assume you are making half. Charge what you think you are worth. Don’t give your work away. Work with people that you like. Learn from mistakes. " Rolf Hicker, Stock Travel and Nature Photographer: "Wake up! Don’t accept everything from the agencies. We are creating those pictures, not them". Lanny Ziering, Stock Photographer and Co-founder of Blend Images, CEO of SuperStock: "Great images have always been and will continue to be rare. My advice to photographers is to find the intersection of what you do well and where there is demand for imagery without oversupply." Alan Capel, Head of Content Alamy: "A comedian once said "why are there never any new clichés?". But often that’s what works, don’t be afraid of the cliché but give it a twist, make it more contemporary, add something that’s not been there before. Try all of this and some will hit the mark but the rest of the time you may well have to follow the tried and tested route. If you can strike the right balance you’ve got a good chance." Quang Tuan Luong, Nature, Travel and Stock Photographer: "Understand emerging trends in business and technology and take advantage of short windows of opportunity. If I hadn't understood the importance of search engines on the Internet a decade ago, I wouldn't be there today." Ron Chapple, Stock and Assignment Photographer, founder of iofoto and ThinkStock: "Early on, I had a "business adviser" tell me that I needed to transfer some of my ego fulfillment from taking a good picture to running a good business. Those words also helped me understand that we as photographers should not be afraid of the business world. Business is just a game we need to play so that we can enjoy our lifestyle." Lee Torrens, Stock Photographer and owner of microstockdiaries.com: "I’ve just finished an industry research report which took up most of my time for the past six months. In 2011 my primary focus will be shooting stock - something I’m sure most of your readers will find amusing." Wow great topic to read.